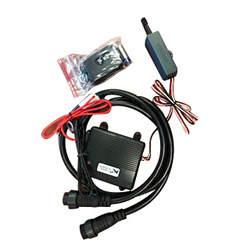 This KTI Wireless Control kit includes: 1 of Main Transmitter, 2 of 2 inches by 2 inches Velcro, 1 of 23 AE Battery for transmitter, 1 of Main Receiver Unit, 1 of Detachable antenna, 1 of Antenna mounting screw, 1 of Installation Manual. Works with trailers built after January 2015. Quick and easy installation. 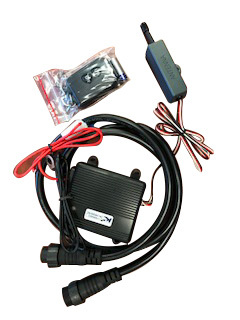 The wireless remote has a range of about 40 feet with no obstructions.